"Sandro was very professional and easy to work with. Both the staff and guests speak highly of him. We were very pleased with his energy and the variety of songs. He had the guests on their feet dancing in no time. I highly recommend hiring Sandro!" "The Surrey Homelessness and Housing Society first hired Sandro to play at our Heroes of the Homeless and Grant Recipient Awards in 2017. We were so impressed that we hired him again for our 2018 event. His music is the perfect accompaniment for our evening and guests have told us several times how wonderful he is. 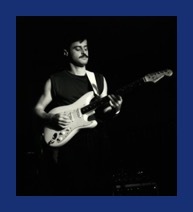 Sandro is professional and very easy to work with and we look forward to having him play at our events in the future." 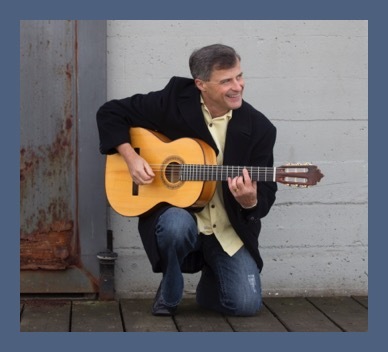 "We recently hired Sandro to play at our Global Conference in Vancouver. He played beautifully, and was such a pleasure to work with both leading up to the event and on the night. Hire Sandro! His repertoire of songs is hugely impressive, and he created the perfect ambience for our guests. Sandro will not disappoint!" "Just want to thank you for your musical support yesterday evening. It really was a great atmosphere and we got quite some compliments from the delegates. Wishing you all the best and happy to recommend you for any future conferences." "Thank you so much for putting together our favourite songs and playing them so wonderfully during our ceremony and for our guests at our reception. You truly added a touch of elegance to our special day. You were a huge hit! Our day wouldn't have been the same without you. We would recommend you to anyone who is hosting an event. Your music is the life of the party!" Crystal and Steve C. - Sea to Sky Gondola - Squamish B.C. "We had Sandro come and play at our annual VRCA Golf Tournament at the Northview Golf and Country Club. He was absolutely fantastic! Music was just the right background environment to compliment conversation and networking at the evening portion of the event. Would gladly have him back to play at other events we put on." Teresa B. - Vancouver Regional Construction Association - Vancouver B.C. "For the musical entertainment, we had Canadian guitarist Sandro Camerin playing during dinner, and he was great!" "I wanted to thank you for the beautiful performance the other night. You helped set the tone and it was a nice ambiance. All of our guests enjoyed themselves. They were paying compliments to the music as I went around chatting with them. Thank you for contributing to making last night so special!" "So many comments about how great it was to have you playing. Your music really set the tone and the vibe. Thank you so much for making our event so special." "Sandro - acoustic at my wedding. He went over and above to help out and the guests raved about his playing. He played an awesome selection of mellow, modern, and classic tunes that everyone and every age enjoyed. I highly recommend this guy for any event! "I met Sandro at Federico's Supper Club on Commercial Drive, where he plays most Saturday nights. He is a phenomenal musician. I knew as soon as I got engaged that I had to have Sandro as a part of my wedding. He brought all his own equipment and played the music for both our ceremony and the cocktail hour. The perfect soundtrack for our special day. He learned a new song for me - one of my favourites - and within few weeks it was performed flawlessly. He was even super accommodating when, relatively last minute, I requested my aunt sing a song during the registry signing. He accompanied her beautifully. The music that he provided during the cocktail hour was a mix of classic rock, acoustic pop and even some theme songs. Perfect ambiance. Perfect acoustics. Perfect atmosphere. Truly, truly there is no better than Sandro Camerin." "Sandro! You were wonderful! The guests loved you as did we.Your music was exactly what we wanted…We had such blast with you there!" "We couldn't have asked for a better musician for our special day and we've already passed along your contact information to a number of friends. We're so lucky to have found you and will be sure to reach out again." "Sandro is an amazing guitarist. His music is concert quality - I just wanted to listen to it." "Your wonderful music really made our day extra special." 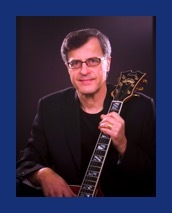 "A jazz guitarist (Sandro) provided dining background, and he was very talented." "During dinner we enjoyed the Jazz guitarist (Sandro) very much. You can't believe how awesome Deep Purple's 'Smoke On the Water' sounds played in that style." "...music (Sandro)...made this evening a total success...wonderful! It was a great and memorable night!" "Live guitar music (Sandro) was amazing." "(Sandro) during dinner was excellent." "(Sandro) was a treat, very good musician, I mean anyone who can play a beautiful jazz version of a Deep Purple classic is OK in my book.....Kicked our vacation off perfectly." "(Sandro) during dinner is perfect, very talented and not at all overbearing..."
"FANTASTIC! (Sandro) is a talented guitarist....and he was perfect for the mood of the room.....excellent and enjoyable background music!" "(Sandro) on guitar played a mix of easily recognizable singable songs including an acoustic version of Thunderstruck....Whaaa....WICKED!....LOVED IT!" "Great Birthday!....... (Sandro) played acoustics of everything from Hotel California to Toni Braxton. He had guests singing along." "Your music is so beautiful and made our special day that much better. Our guests were raving about you and thought you were fantastic! Bessie and Steven - Cecil Green Park House - Vancouver B.C. "Thank you! We really appreciated your talent and music last night. You really completed the evening." Phoebe Yong - Magnolia Communications - North Vancouver B.C. "Your music certainly contributed beautifully to the success of the evening......we would recommend you without hesitation." Hosts - 22nd Annual NAMC Conference - Westin Bayshore Inn - Vancouver B.C. "Once in a while you meet a performer that you enjoy and Sandro is one of them for me. If you ever need a guitarist for dinner music or background music or whatever you might want to look this gentleman up. I highly recommend him." "Thank you so much for your beautiful guitar playing.....many of the guests commented as to how much they enjoyed it." "The live guitar music was such a special surprise..."
"I haven't heard such a mistrol of guitar in years." “The gentleman that played the guitar during our meal was fantastic....”.